We at Feeling Mandy thought it was time to get our blog up and running again, so I thought what better way to start then to let you know what’s been going on over this last month, and believe me when I say it’s been eventful lol! We were victims of a flood in the studio which funny enough wasn’t the first time it happened to us, (the first time being in our old studio). One of the main drains outside the building got blocked and as a result the water had to find somewhere to go and where better than Feeling Mandy lol (I wasn’t laughing at the time tho). Lucky we only lost 2 computers but we had to close down for a week while we extracted all of the water. The office next door (were we do Feeling Mandy & Custom clothing) also had to be closed for a few days while it go stripped out and made available to work again. 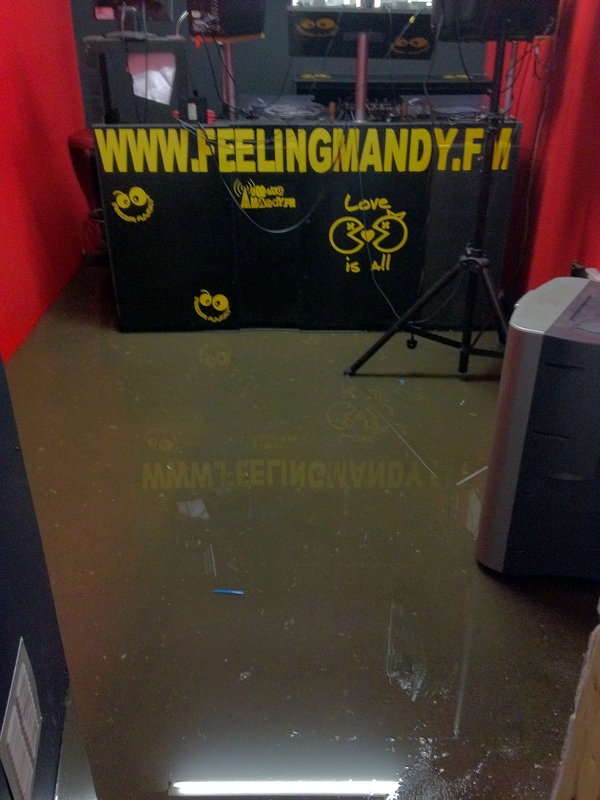 A week after the flood we had a power cut In the building which happened to fall on our busiest day for the radio a Friday so all shows had to be cancelled. Don’t forget if you would like to be considered to have a live set on Feeling Mandy Radio then get in touch via email on the website. DBS made my day.Their associates are very proffessional & supportive and co.operative & understand the problem easily. Its very lost effective and i would definitely performed your service to others.